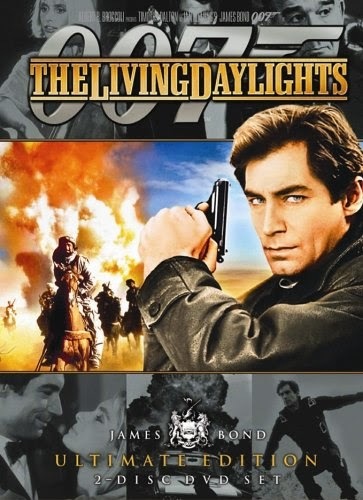 The beginning of the film resembles the short story, in which Bond acts as a counter-sniper to protect a Soviet defector, Georgi Koskov. He tells Bond that General Pushkin, head of the KGB, is systematically killing British and American agents. When Koskov is seemingly snatched back, Bond follows him across Europe, Morocco and Afghanistan. Maryam d'Abo as Kara Milovy: Koskov's girlfriend and later Bond's love interest. Joe Don Baker as Brad Whitaker: An American arms dealer and self-styled general. Baker called his character "a nut" who "thought he was Napoleon". Jeroen Krabbé as General Georgi Koskov: Whitaker's ally and a renegade Soviet general. Andreas Wisniewski as Necros: Koskov's henchman, who poses repeated threats to Bond. Thomas Wheatley as Saunders: Bond's ally. Desmond Llewelyn as Q: MI6's "quartermaster", who supplies Bond with multi-purpose vehicles and gadgets useful in the latter's mission. Caroline Bliss as Miss Moneypenny: M's secretary. Julie T. Wallace as Rosika Miklos: James Bond's contact in Bratislava, Czechoslovakia who works at the TransSiberian Pipeline.